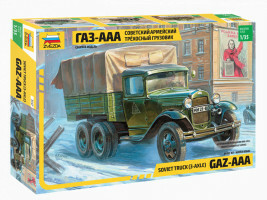 The GAZ (for Gorkovsky Avtomobilny Zavod) AAA triple axle truck was a development of the earlier double axle GAZ-AA which was a licenced produced copy of the Ford Model AA 1.5ton truck. 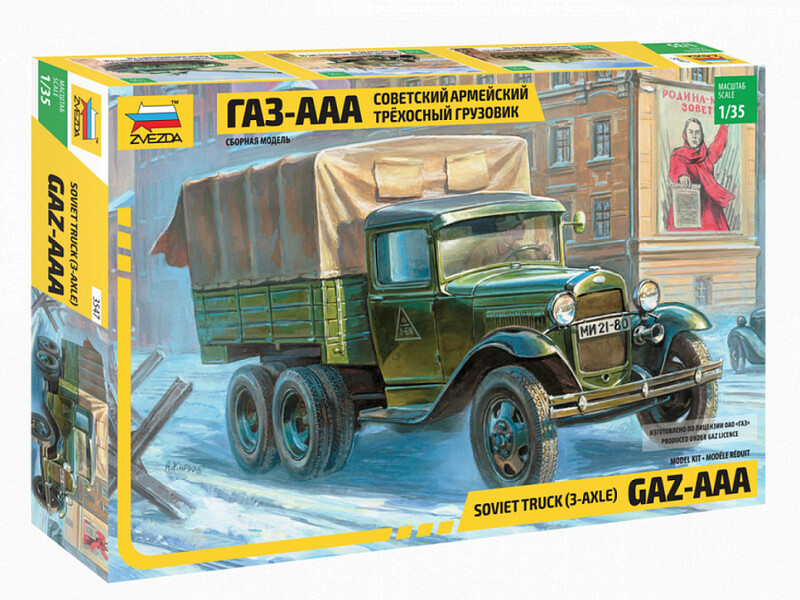 The GAZ-AAA was a simple triple axle 6 x 4 truck that proved to be robust and reliable and apart from the basic cargo truck also formed the basis for numerous variants such as an ambulance, mobile workshop and also a platform for AA guns. The GAZ-AAA was produced from 1934 to 1943. A total of 37.373 cars were built.